When you have a swimming pool, it is important that you keep the pool in good working condition. You need to make sure that all pumps, filters, and heaters are in order and working properly. 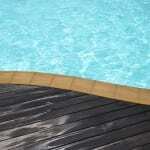 You also need to make sure that the pool liner and pool deck are free from cracks and chips. In addition to all of this, you need to clean the pool regularly and test the chemical levels to make sure they are within the normal range. All of this can be overwhelming, which is why you can visit a local pool store that provides swimming pool services. They can help make all the maintenance on your pool easy and can also help you out with repairs for your pool. Swimming pool services include water testing. This is where a professional will come out and test the water in your swimming pool to make sure all the chemicals are balanced. This can be helpful if you have been having a hard time getting the chemicals right on your own. If there are not enough chemicals in the pool, bacteria and algae can grow in the water. If the chemicals are too high, it can be harmful to your skin and eyes. If you are looking for help with swimming pool services, visit us today at S & H Pools. We are your one-stop shop for water testing kits and swimming pool supplies. We can come and test your water for you as well. We also provide maintenance services and repairs for your swimming pool. We can help make taking care of your swimming pool easy for you, and we can help you out when something goes wrong.